Posted on September 17, 2007 April 23, 2008 by Debito Arudou Ph.D.
Hi Blog. 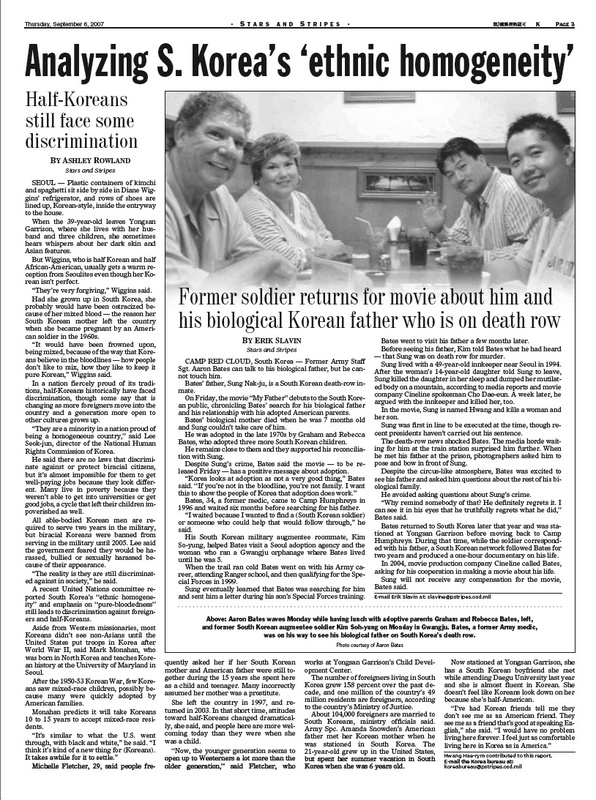 Got this from Dave Spector: Stars and Stripes Sept 6, 2007 on what it’s like for international children in South Korea. A lot of the things reported (the ol’ “homogeneous society” chestnut) sound quite similar to what’s going on in Japan (understandibly, given their proximity and interlocking histories and cultures). (which means 2 percent of the SK population is non-Korean, vs 1.6% of Japan’s, and is growing much faster than the NJ population in Japan).